1969 Berklee School of Music, Boston, Mass. Bandleader, arranger, performer on the Branson Belle Showboat. Arranged shows for and performed on PBS specials. Conductor for the pops concert with the Springfield Symphony. College of the Redwoods, Eureka , Calif. Piano Accompanist for Jazz Vocal Choir, working individually with vocalists as a coach and in performances. Big Band arranging classes teaching concepts of scoring for big band. Free lance work in Humboldt and Trinity Counties as a private teacher, arranger and performer. The Eureka Inn, Eureka Calif.
William James Foundation, Santa Cruz, Calif.
Arts in Corrections Instructor at Pelican Bay State Prison, Crescent City, California. Responsibilities include directing inmate band and teaching jazz history and theory. 1980 to 1993 Les Brown and His Band of Renown, Los Angeles, Calif.
Pianist, arranger/composer, vocalist. Many performances world wide including all of the Bob Hope television specials during this period. Accompanist for many celebrities such as Glen Campbell, Bob Hope, Sammy Davis Jr. Andy Gibb, Pat Boone, Debby Boone, Peggy Lee, Mel Torme, Frank Sinatra, Frank Sinatra Jr, Johnny Cash, Buddy Defranco, Helen Forest, Horace Heidt, Bill Hollman, Waylon Jennings, Ann Jillian, Rich Little, Sammy Nestico, The Pied Pipers, The Pointer Sisters, Henry Questa, Don Rader, The Los Angeles Raider Band, and many others. Shows on CBS, NBC, ABC, KCET and TBN. Conductor and Pianist responsible for all rehearsals and performances. Duties included organizing musical contractors, sketching dance routines and directing the show. Adjunct professor of jazz teaching jazz piano, jazz history, jazz improvisation, jazz combo and big band jazz ensemble. Staff Pianist and Organist, Los Angeles, Calif.
Staff pianist and organist for several prominent churches in the Los Angeles area such as Van Nuys Baptist, Van Nuys, United Community, Glendale and Calvary Bible,Burbank. Free lance work in Southern California as a private teacher, arranger, conductor, producer and performer. Lexicon Music Publishing, Canoga Park, Calif.
Editor and producer for several projects including music publishing and recording. George Liberace Orchestra, Las Vegas, Nev.
Pianist with the orchestra performing in major hotels throughout California and Nevada. Free lance work in Southern California, Nevada and Arizona as a performer with several combos. John Raczka has a lifetime career in music beginning in 1965. During those years he has worked as a pianist, composer, arranger, conductor, vocalist and accordionist with many musicians and performers including Les Brown, Frank Sinatra, Sammy Davis, Peggy Lee, Bob Hope, Glen Campbell, Bill Hollman, Henry Questa, Buddy Defranco, Johnny Cash, Mel Torme and countless others. His writing and performing have been featured on many television shows on NBC, CBS, PBS and ABC. John has also worked as a professor in several U.S. 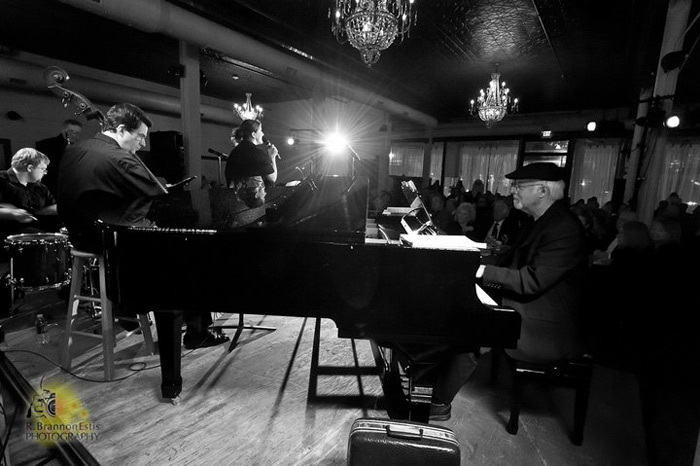 Colleges and Universities teaching jazz theory, jazz history, jazz piano and jazz arranging. He holds a Masters degree in Humanities and a Bachelor’s degree in piano performance. 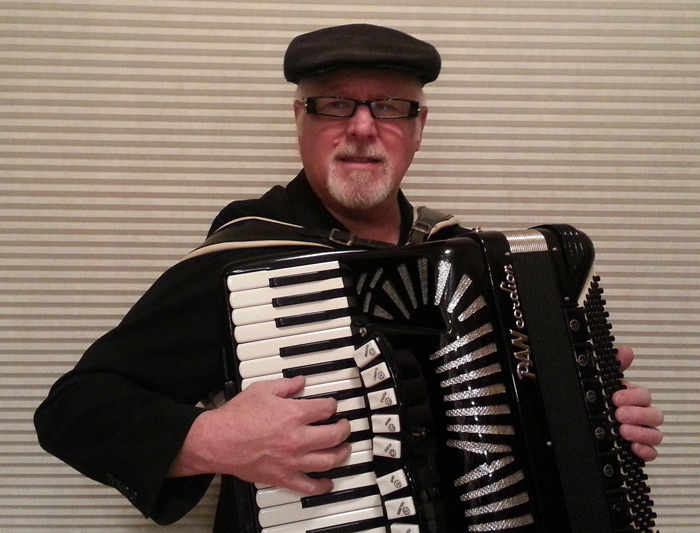 John is currently writing and performing for Herschend Family Entertainment in Branson Missouri and is a featured accordion player in several shows. He is also the music director for Les Brown’s Band of Renown.